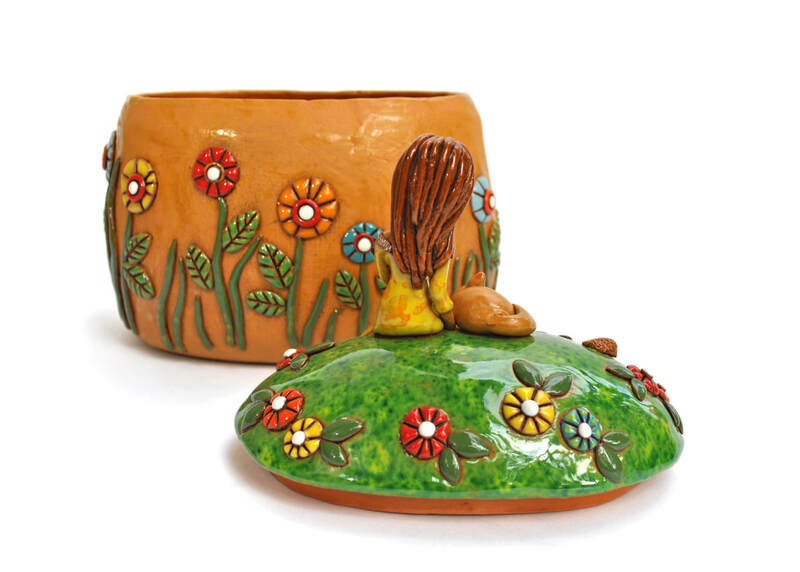 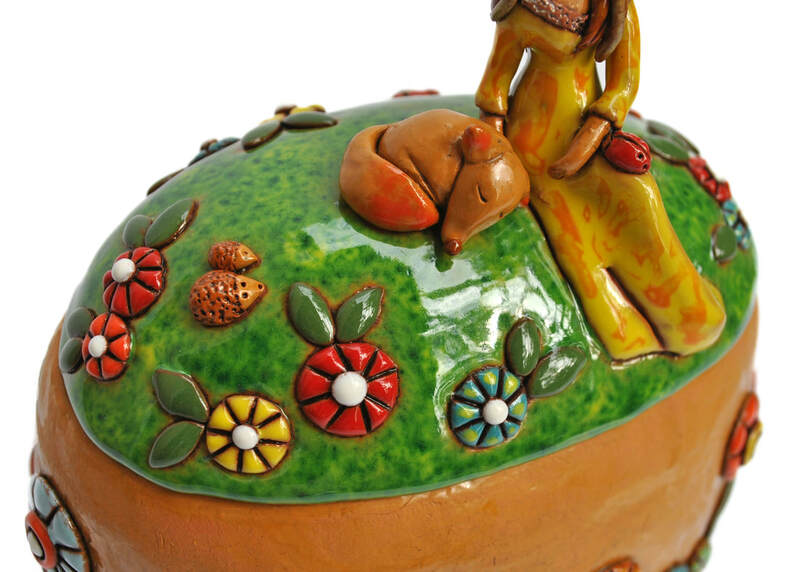 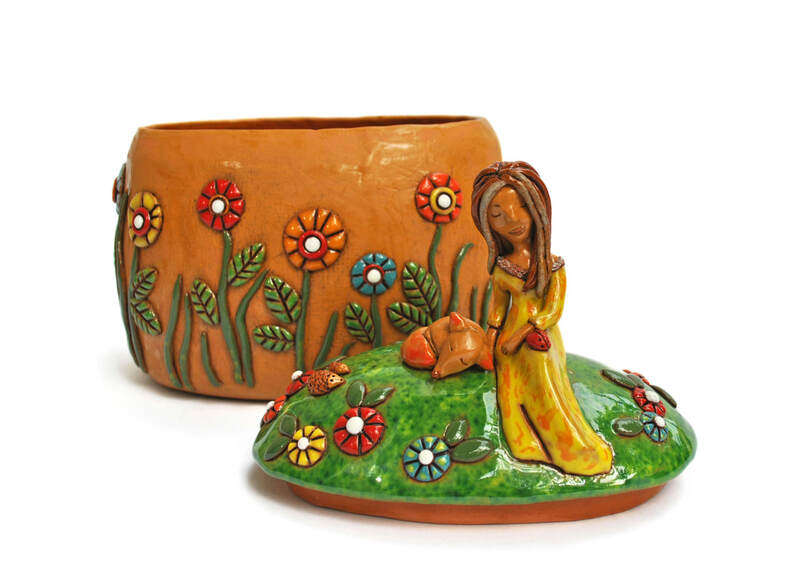 This ellipse shaped box portrays a wildlife fairy looking after the animals. 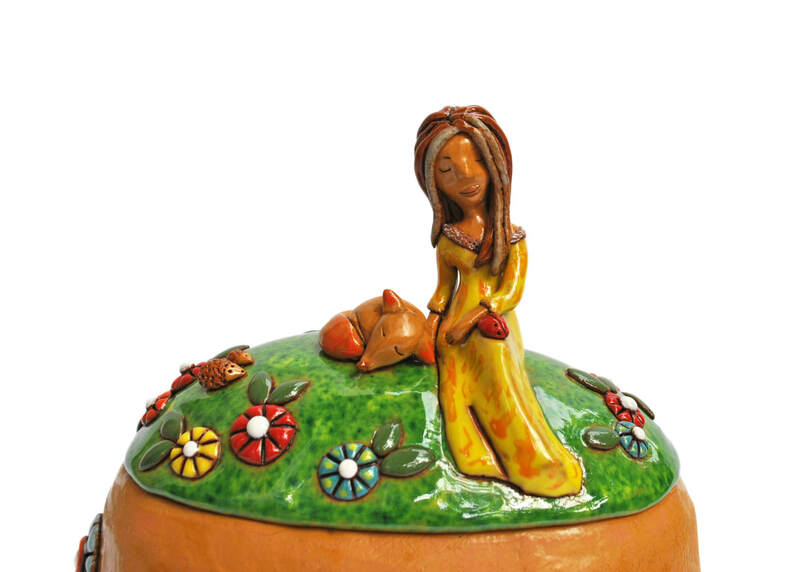 A few silver hairs on her head betraying her thousand-year long life, she is resting on sun-lit meadow and enjoying the warmth and the peaceful moment with the forest creatures. 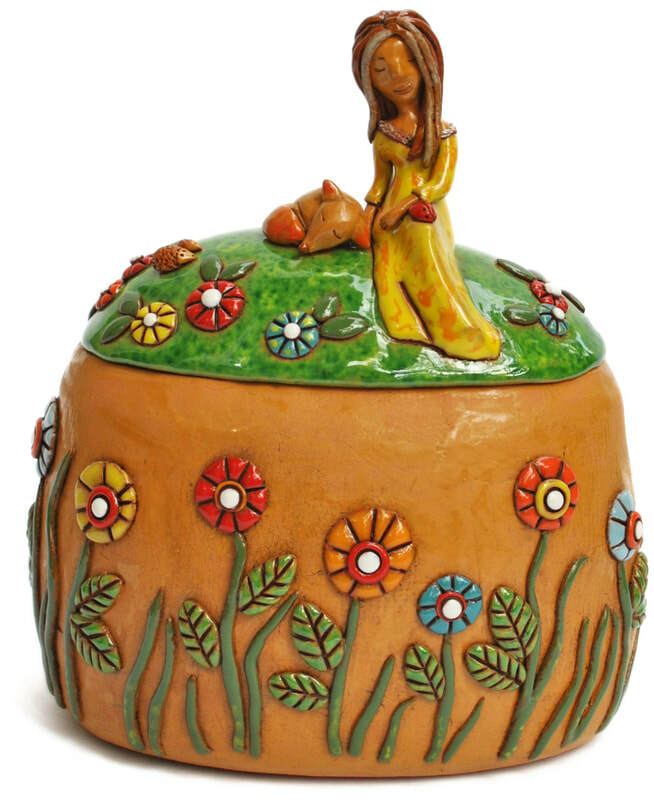 The box is approximately 17 cm (6.7 in) tall including the girl, 14 cm (5.5 in) at its widest.